Jeff Edwards is coming to your friendly neighborhood comic shop this April! 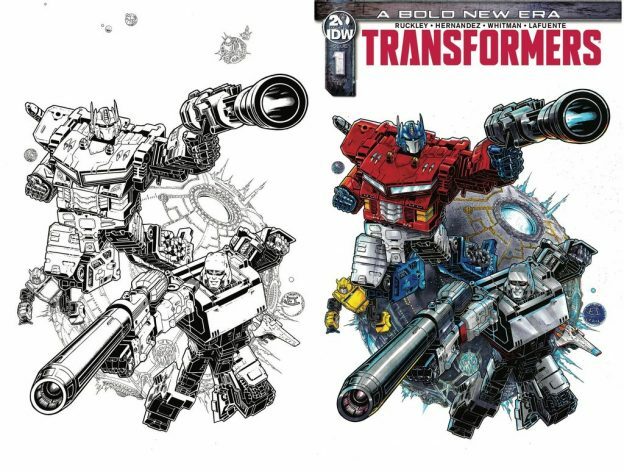 With just a few days left in March, we’re ready to announce that Jeff Edwards, the cover artist for IDW’s “Transformers” series will be appearing at our shop. We’re looking forward to having him on Sunday, April 7th from 1 to 6 pm. Jeff will be bringing an exclusive variant which will be sold for $20, along with a free signature if you’d like. Remarks and larger commissions will be available at Jeff’s discretion and with time permitting, of course. Please feel free to share! Ad designed by Erin Belfiore. 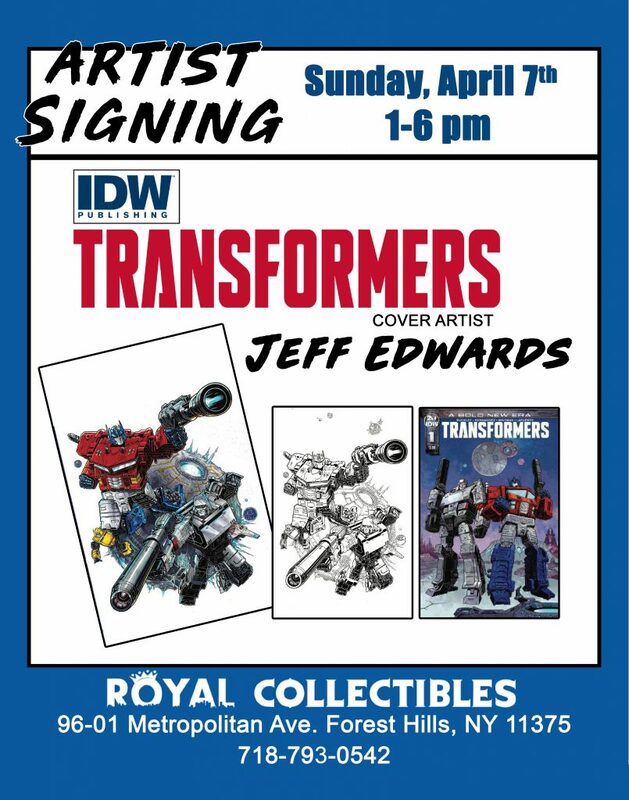 We hope all of you Transformers fans will roll out to Royal for the Jeff Edwards signing. Jeff Edwards will be appearing Sunday, April 7th from 1 to 6 pm. This entry was posted in General Info and tagged IDW, IDW comics, IDW Transformers, Jeff Edwards, Royal Collectibles, Transformers on March 29, 2019 by admin.